We are an accredited MOT Centre for class 4 vehicles and offer this service Monday - Saturday. We can offer a 'while you wait' service for MOT’s and even carry out some minor repairs to ensure your car passes its MOT. 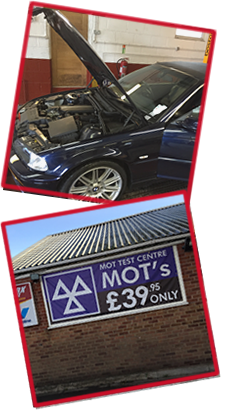 We can also carry out any aspect of MOT repair work and offer a free re-test within 10 days. 01684 296999 or click here to use our online enquiry form.